Morning.... 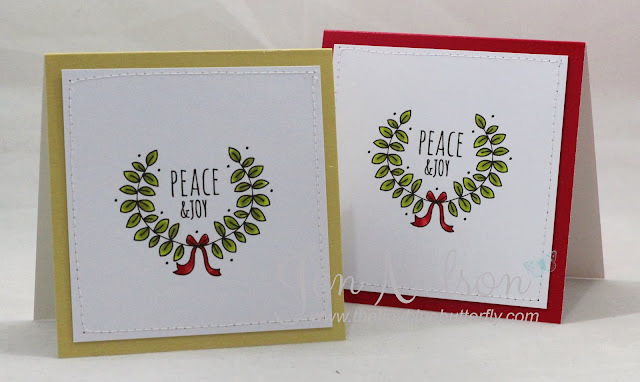 I've spent the morning preparing for family to arrive tomorrow for the annual New Years Day buffet so not done much crafting that I can show but instead in blogging tradition here are a few of my favourite cards from this year!!! Thanks so much for all your support throughout 2013 and I hope to see you all next year! View straight from the door forward. This area was my work desk but since I moved the wardrobe in here I had to compromise and move some stuff around. As well as big shot pro plates these draws hold supplies that are either extras or I do not use very often. Onto my main desk. This is made up of a glass top from Ikea on top of two of the small Expedit cubes. The desk is a little higher that normal but I like this as I can stamp standing up. The glass top I have is no longer available but instead you can get one called GLASHOLM with a fingerprint pattern or an egg pattern. At one end the Expedit has two sets of the draws made to fit. I only picked these up on Friday on my way past Ikea on way back from Doncaster. They will make it easier that having to pick up the boxes that were originally on the shelf. The storage boxes below are DRONA boxes from Ikea which are only £2.50 each and can fold flat if not required. At the other end I have a space for my sewing machine which allows me to pick it up and use it on the desk quickly. It's a children's sewing machine from John Lewis but is the same as the Janome Mini so not sure if they made them for them. On top of my desk I have a couple of the carousels holding tools and art materials. To the left of the side I sit are my main stamp shelves. These are also from Ikea. They hold DVD stands (no longer available from Ikea (Gutted as I need more :-( so I will need to find something else). 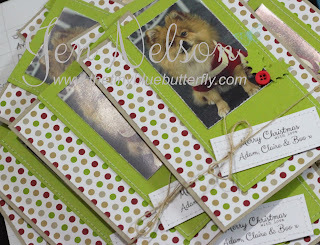 My stamps, dies and 6x6 papers are all in "Small Stuff Cubby's" which I got from Storage 4 Crafts. I love how I can pick them up and put them on the desk. I have quite a lot of these but have always managed to get them when they had offers on. Ribbons are in containers from Ikea by colour and are stood on the RIBBA Picture Ledge from Ikea. 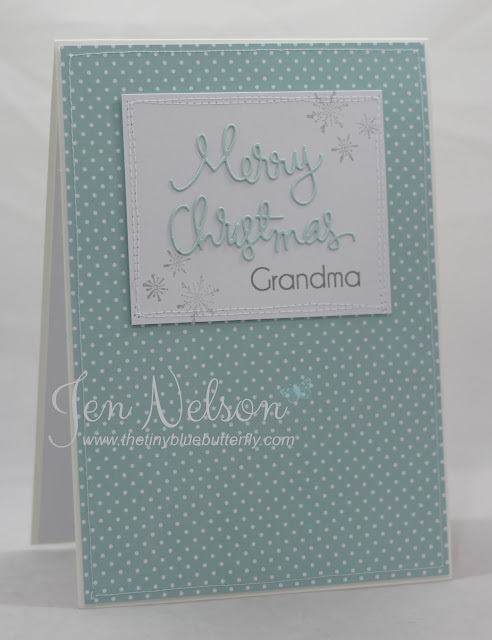 Below are rolls from Stampin Up as well as Stickles and Liquid Pearls. Underneath the shelves is another ALEX unit with Stamps and other bits in and another small Expedit. This is my printing and cutting area. The Expedit has A4 paper at the back of the shelves with more cubbys at the front. Behind me I have a metal board SPONTAN from Ikea with movers & shapers on as well as random bits and pieces. To the right side of my desk I have some of the HELMER draw units. I have a total of 4 of these. There are two behind the trolley with printer paper, promarker card and punches in. These two hold my little embellishments and have to have at hand tools. Inside the left hand side draws are a set of these ... I picked them up really cheap and they fit perfectly. To the side of the Helmer draws is my RASKOG trolley. I picked this up the day they came out at Ikea (A friend used to work there) and then they were out of stock for ages. This holds my cuttle bug, small embellishments and bits and bobs at the bottom. The top holds my Stampin Up Markers and Distress Markers in Really Useful Boxes as I take them out and about with me as well as my enveloper and Stampin Scrub. There is also a small hougie board here. To the right of my desk is a large EXPEDIT unit. As the wardrobe is now in here half of this is covered but I can easily get the stuff on the bottom 8 cubby holes if needed. 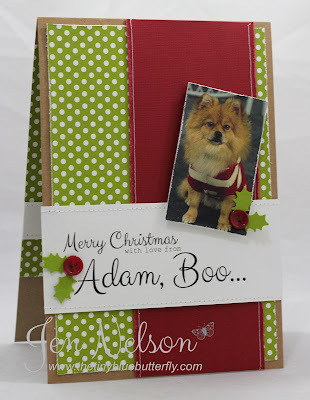 There are a couple of boxed with Gems and Twine in under the paper. The black magazine racks hold stencils, shrinky plastic etc and can be pulled out easily. On top of the expedit are my promarkers and inks. I would love to have these closer to hand but for the moment they need to stay where they are. The boxes to the left have Embossing Powder, Glitter and Washi tape in as well as cotton, ric rac and angle hair. The ProMarker stand is from Vixx Handmade Cards although I am not sure if they still make them. I also have ink storage from Inkylicous which has all my distress inks, memento, shadow inks and other ink pads. So that's my craft space. I have a photo area set up in the office at the moment as the light is better there. Hope you like it!! I'm off to make it messy again whilst I finish off a couple of magazine commissions and some orders. 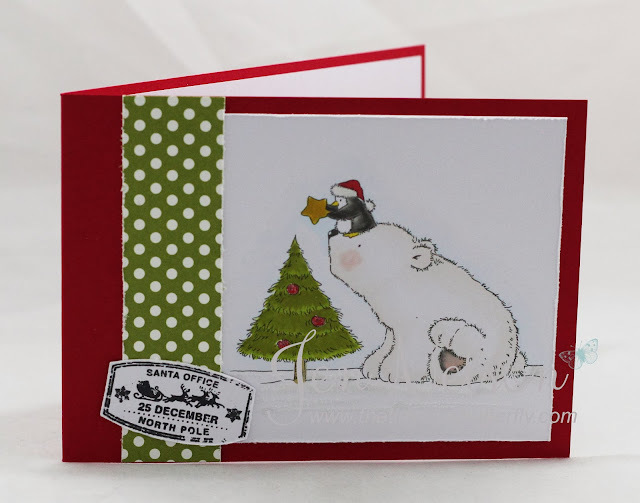 Hopefully I'll have a card to show you soon!! That's all from me for today.... I'll be back soon and with some end of year candy too!! Merry Christmas Everyone!!! Hope you are all having a fabulous day!! I have a little commission to share with you today as well as a very special gift card too!! I made personalised cards for a friend of mine this year... All they wanted was a photo on them... This is Boo... Isn't he gorgeous!! 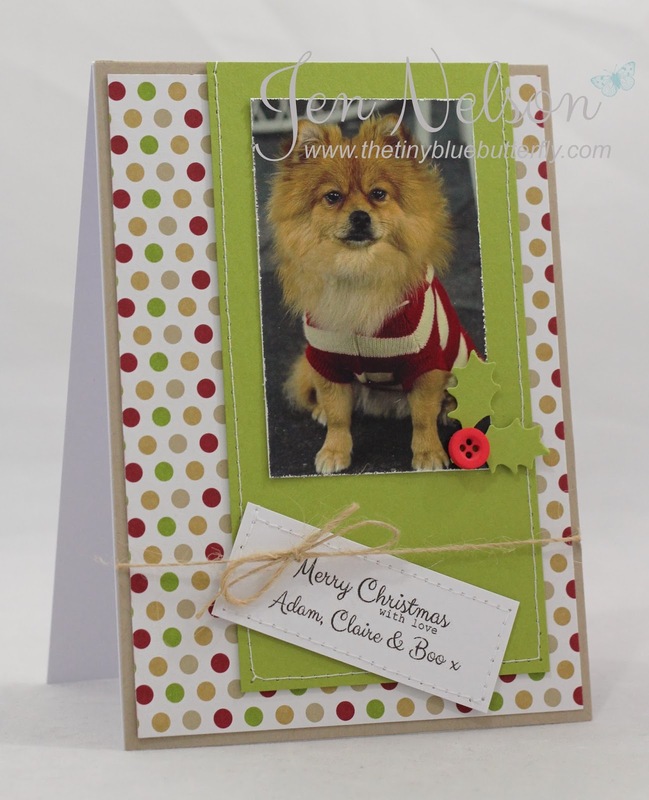 I also made a little gift card for Claire from Adam too..... For a very special present!! 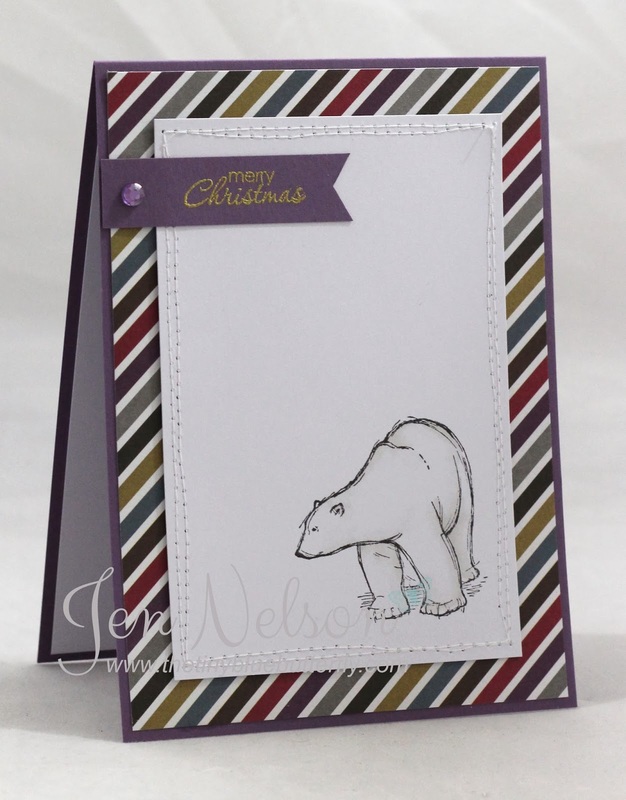 The polar bear is not quite straight lol but never mind.... but I really love the striped designer paper.. 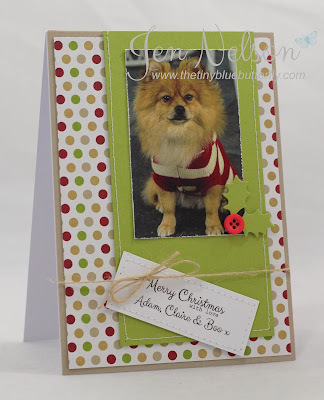 Morning... Just a quick card for you today that I shared yesterday on Ideas To Inspire blog. This is the super cute James and one of the original designs from a few years back... Not sure how he could ever get old though! 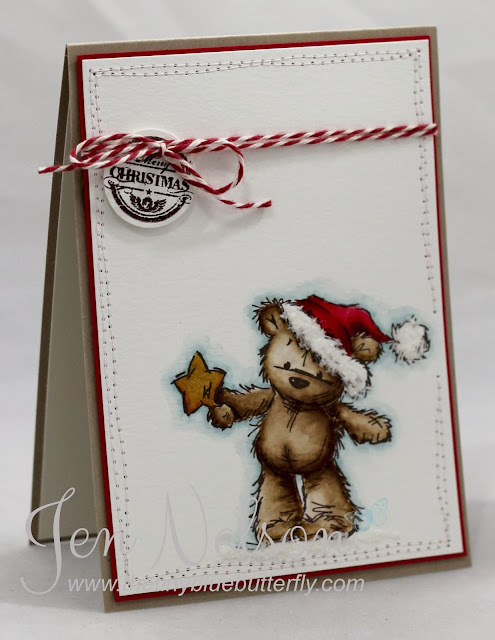 I've coloured him in with Stampin Write markers using watercolour brush and he is finished off with a sentiment from Grunge Christmas postmarks, some twine and a little glitz with a wink of stella pen and some snow flowersoft. Morning LIMettes.. This week we have a 2 week challenge at Less Is More and we would like you to use a previous challenge. A nice and easy one for you!! 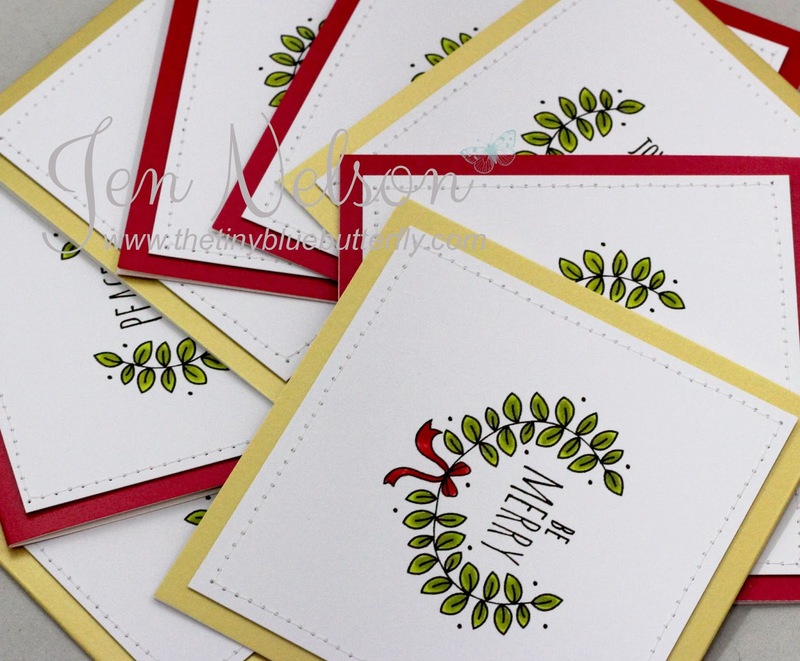 Here are my cards! My first card takes us right back to challenge number 1 with the colour theme black, white and pink. 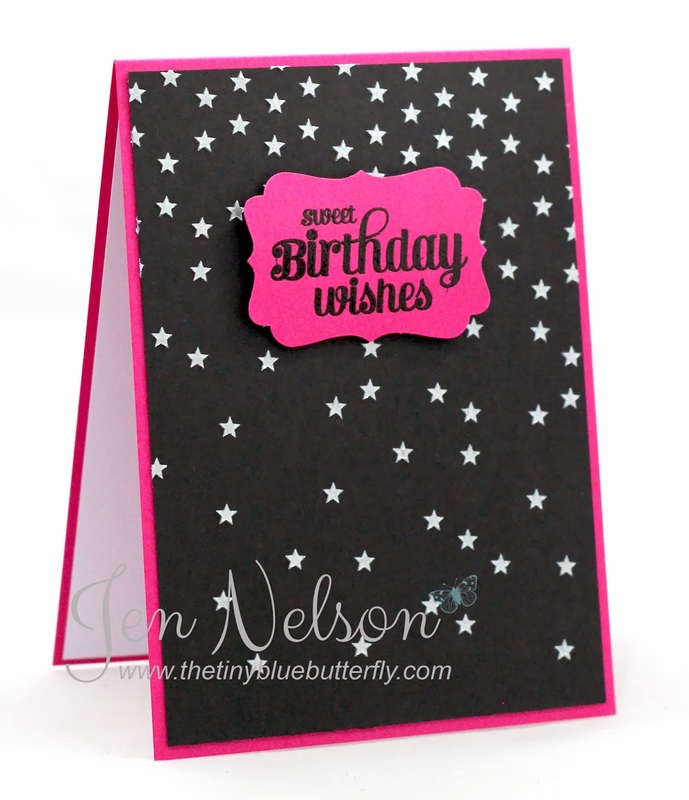 I have used a fabulous stencil from Simon Says Stamp and opalescent embossing paste on the black card. 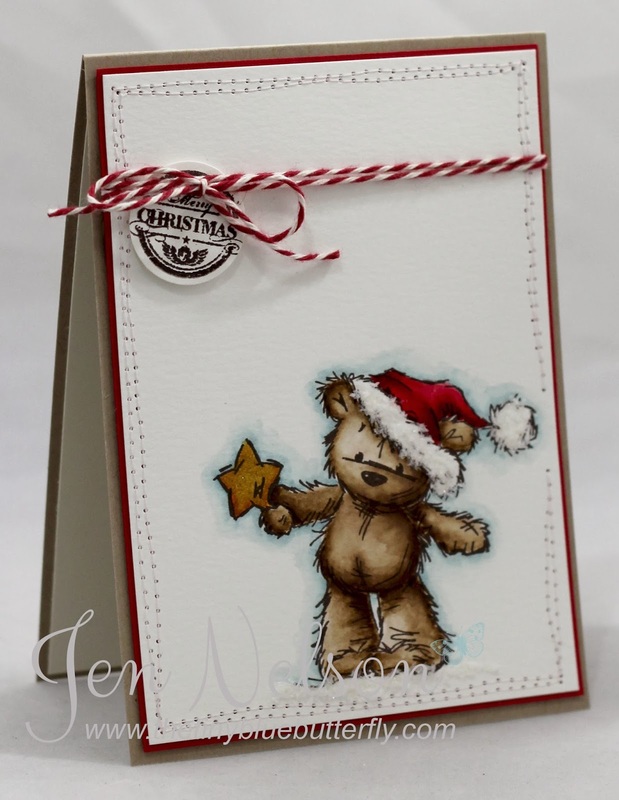 It's simply finished off with a Waltzing Mouse sentiment. My second card uses the sketch from week 139 and again more embossing paste and another simon says stamp stencil. 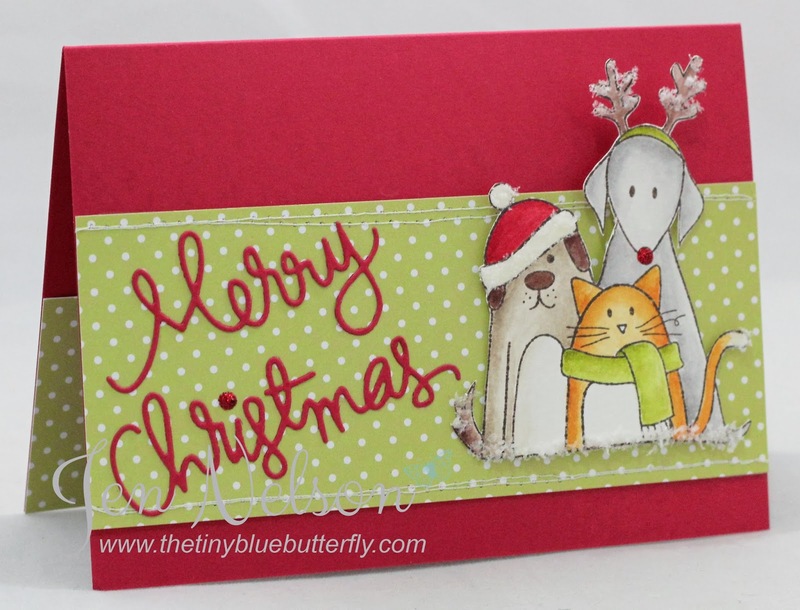 The sentiment is cut from some embossed card and is also from Simon Says Stamp. That's all from me for today... Have a great Saturday!! Morning... Another little Christmas card for you today using this cute from Purple Onion Designs. As soon as I saw this cute owl I fell in love.... 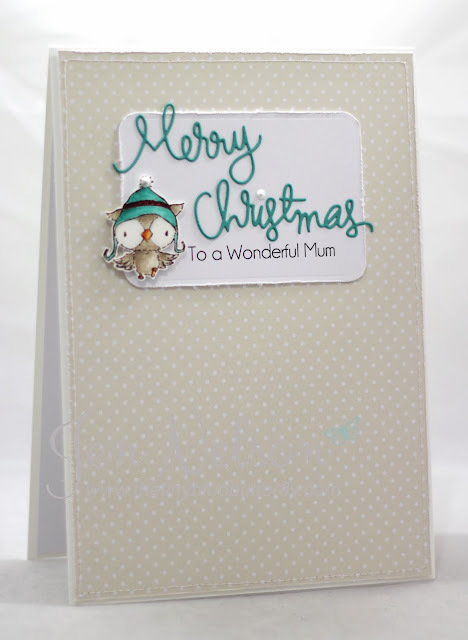 I went for non traditional colours again... Love this colour combo!! That's all from me for today.. Have a great Wednesday! I'm looking forward to a nice long Christmas break from work... only 4 working days left even though they will be very busy. 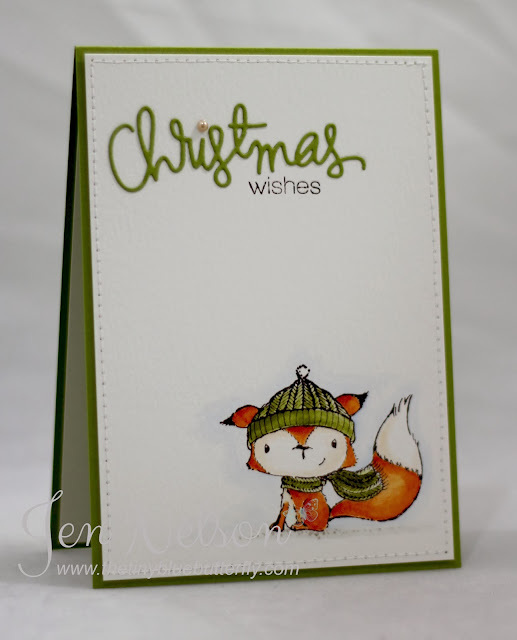 Morning.... A few weeks ago I was admiring this card made by my fabulous blog friend Lesley Croghan and I fell in love with the images... At the time I put them at the back of my mind but they seemed to be used everywhere and I wanted them!! 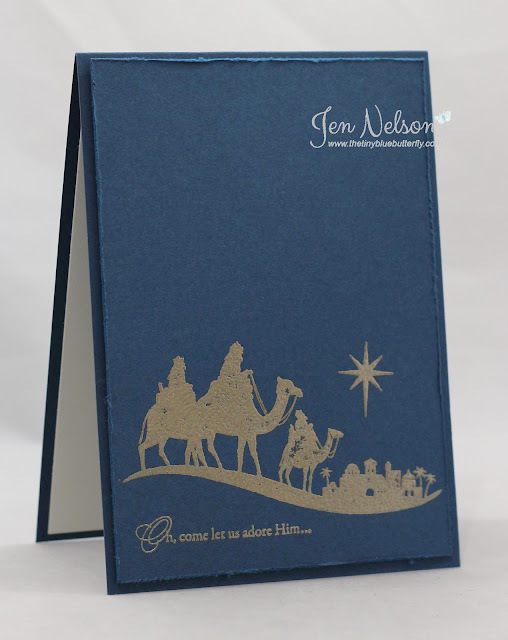 Then Michelle at Purple Onion Designs had a special offer with 25% off ... and with reasonable delivery costs to the UK as well! I placed a order and the swiftly arrived from the other side of the pond... This is one of the cards I made... using the super cute Cedar! !